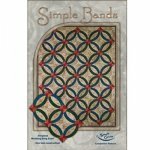 The Simple Bands Bed Runner is a continuation from the Simple Bands pattern. 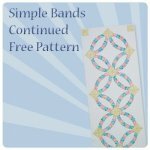 One step closer to the classic Wedding Ring, The Simple Bands Runner uses stripsets to add the classic piecing look to your bands. 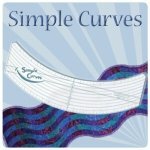 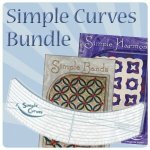 Simple Bands Bed Runner does require the Simple Bands pattern and the Simple Curve Tool. 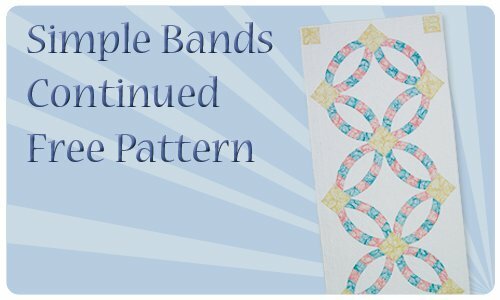 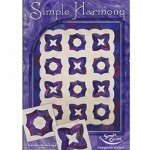 We hope you enjoy making this project and it helps you to reach your goal of a Double Wedding Ring quilt for your upcoming June or July Weddings!